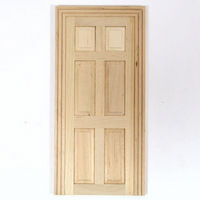 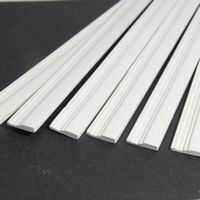 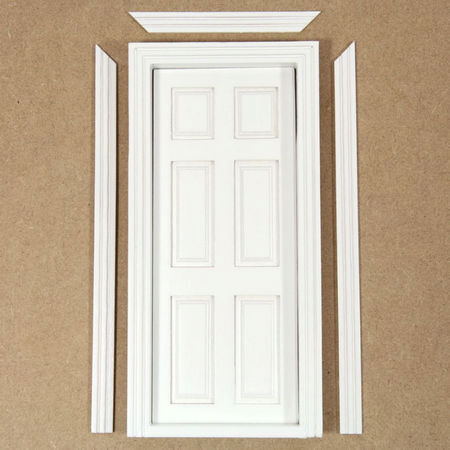 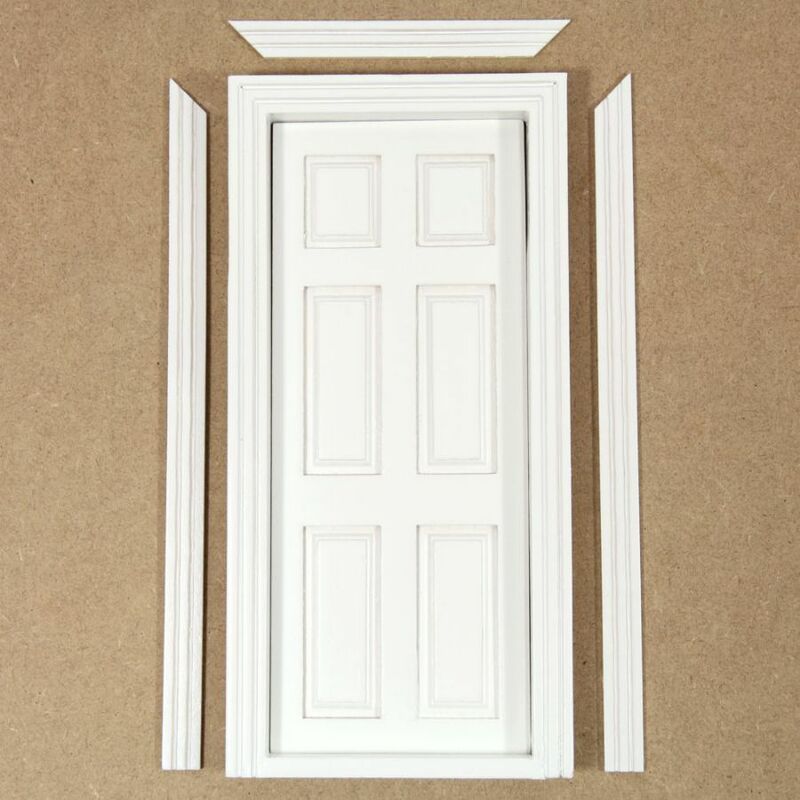 White painted wooden 6 panel interior door. 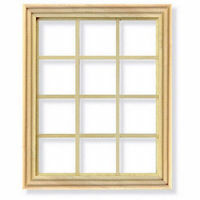 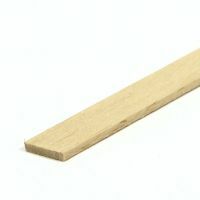 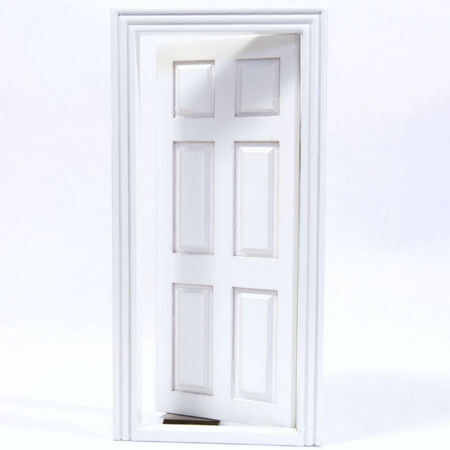 Fits most standard dolls house door openings. 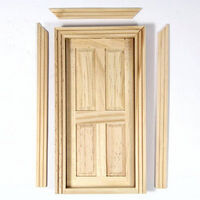 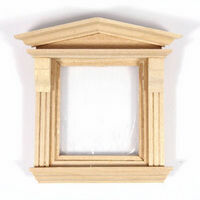 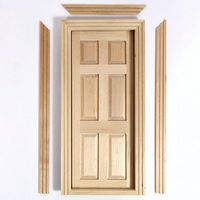 Complete with frame and architrave mouldings for both sides.